The former Kevin Steen makes his debut in NXT this week. Rechristened Kevin Owens, the Canadian-born wrestler is prepped to take the WWE Universe by storm. But, will his debut sizzle or fizzle? 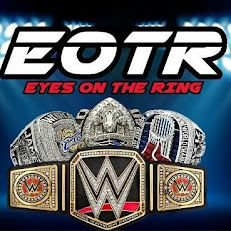 Join True God, Speed on the Beat, Jon, CJ, Nathan and Peagle in an EOTR roundtable of sorts on Owens. CJ: The WWE debut of Kevin Owens has been a long time coming. I have been following him since his feud with Generico (now known as Sami Zayn in WWE) in ROH. The idea that we can see the rebirth of that feud, on a WWE stage? It gives me high hopes for the future of Kevin Owens. The guy is an excellent hand, a solid talker, and one hell of an in-ring performer. As long as he keeps his head on straight and stays consistent, the future is looking very bright for Kevin Owens. I expect him to be holding the NXT title very soon. Speed: If Hideo Itami and Finn Balor's debuts in NXT offer up any hint of what to expect from Owens' first WWE experience, we shouldn't expect him to bring out the Package Piledriver or F-Cinq anytime soon. That's especially since the piledriver's "banned" in WWE and the F-Cinq is That Brock Lesnar Guy's finisher. However, where Itami and Balor had growing pains, Owens comes more than prepared. Minus the piledrivers and all, he's kind of been wrestling "WWE style" for a while now and has agility unlike many his size--like Bray Wyatt, but more technically-skilled. Plus, he didn't undergo that much of a name or gimmick change. "Owens" is an homage to his son and (possibly) Owen Hart, and he's still got that "I'm going to beat the crap out of everyone" thing going for him. Right out the gate, Owens will probably be tossed into squash matches against lower guys to play off the "I will fight anyone, this is my time" gimmick (a/k/a "Kill Steen Kill," the PG Version). Owens will probably be fed someone who is a viable threat to him. True mentioned on Twitter that he sees someone like Mojo Rawley being Owens' first victim. I can see that, but I think it'll be more of a "splash" than Mojo. I also see Owens/Zayn being left for the main roster, a la Punk vs. Bryan at Over the Limit 2012 (that match, to me, was a classic), or at least until Zayn has the belt for a while (so, some time next year). All in all, whatever his name is, Owens is primed to be a WWE superstar--as long as he doesn't get thrust into random fat guy gimmicks (this is WWE we're talking about, and even though Owens isn't "fat," he isn't Ryback muscle-headed craziness either). Nathan: NXT Takeover R Evolution is this Thursday night live on the WWE Network. Although I won't be able to watch live, I am really looking forward to watching this show when I get home later that night. Not only will these matches deliver on their promise of being at least good if not great, I'm also looking forward to on this show is the debut of Kevin F’n Steen--I mean, Owens. Kevin Owens deserves to be in WWE more than anyone. He has been passed up for other people time and time again and this is his time. I wish Kevin Steen all the best in the world. The sky is truly the limit for him. I had the chance of meeting him back at an ROH show in September 2013 and he is one of the most-genuine guys in the business today. He will tell you exactly like it is. So, when I heard of his signing with the WWE, I would get the chance to do what he has always wanted: providing for his family (his wife and son Owen). Lastly, my hope is that when he debuts, on Thursday it will be after Sami Zayn finally wins the NXT Championship. Owens can make his way down to the ring and I can get what I want right off of the bat with Owens vs. Zayn. If it doesn’t happen right away I will be fine but that feud needs to happen. It will be interesting to see what Owens ends up using as his finisher in NXT because he obviously won't be able to do the Package Piledriver and they won't let him do the F-Cinq (F5) because some guy who is the Current WWE World Heavyweight Champion does it whenever he decides to show up to shows. True: Kevin Steen has earned his place as an indie legend. With all his work in ROH, PWG and various indie promotions, Steen has put on classic matches, feuds, and moments. Now, as December 11th approaches, he gets ready to embark on a new journey by making his WWE/NXT debut. Unlike KENTA and Devitt, who debuted recently, Steen didn't go through a big name change. He merely opted to be called Kevin Owens, since Owen is his son's name. As his debut nears, the excitement rises and questions start to pop up. Who will Steen feud with initially? Adrian Neville? Sami Zayn? Tyson Kidd? Only time will tell, but I suspect that a Kevin Owens vs Sami Zayn feud equals money, whether in NXT or the main roster. With the history between the two, I can only imagine what greatness is ahead on the big stage. I'm excited, I know you all are as well. I only hope that WWE doesn't mess this up like they have many other talents. Only time will tell. Jon: I'm looking forward to Kevin Owens debut this Thursday. There is quite a lot that the he can do story-line wise in NXT. Let's face it: we aren't sure if he is gonna be a heel or a face just yet. His video packages haven't revealed much of what kind of character he will be. However, you can tell he is in better shape than he was before signing with WWE. He can go straight after the championship and that would make his debut different from Finn Balor and Hideo Itami. He also could start a feud with someone lower on the pecking order and rack up a few wins. There is one thing for certain about his debut: EyesontheRing will have it covered and debated. Peagle: I didn't know much about Kevin Owens before the announcement that he was signed to NXT. So, I went on YouTube and checked out a few of his matches. I’m looking forward to watching him work in WWE. He’s pretty athletic for a bigger guy, a pretty good worker, and he’s not too bad on the mic. Whenever he gets called up to RAW, I’d want to see him feud with Dean Ambrose, Luke Harper and--if they’re gonna go with a vet--I think a feud with John Cena would work really well for him (if he‘s allowed to go over). I’m excited to see what he can do. So, the consensus is that Owens will do well in WWE. Let's all keep our eyes on the ring Thursday and see what the man can--and will--do.